Bakersfield, California, is known for its sunny weather, Basque restaurants and The Bakersfield Sound. There are outdoor recreations including golf courses and fly-fishing, live performance venues, music clubs, and much more. There are even several active adult communities for visitors who decide to call Bakersfield home. Centered between Fresno and Los Angeles, Bakersfield is one of the country's sunniest cities. The region has an arid climate with hot, dry summers and cool winters. There is little rain from May to September, though rain does regularly fall through the winter and early spring. Mild temperatures during the autumn, winter and spring let outdoor enthusiasts take advantage of the region's various attractions. A short drive, brings active adults to the Southern Sierra Nevada Mountains, where they can enjoy hiking, fly-fishing, whitewater rafting and other outdoor recreations. Many regional attractions let visitors and residents explore the area's rich history. Within close proximity of Bakersfield, active adults will find a wide range of regional museums, nature preserves and recreation centers. A few to try include the West Kern Oil Museum, the Sequoia National Forest, Silver City Ghost Town, and the Tule Elk State Nature Reserve. Attractions within the Bakersfield area include a variety of entertainment options. There are public golf courses, shopping centers, live performance venues, raceways and much more. There are many annual festivals held both in Bakersfield and in the surrounding area. Some of the most well-known include the Bakersfield Jazz Festival in May, Village Fest in September and the Via Arte Italian Street Painting Festival in October. Country music lovers will certainly enjoy visiting the city which launched the genre now known as The Bakersfield Sound. This crisp mix of guitar, fiddle, drums and steel guitar took shape in the 1950's and 1960's with well-known artists like Buck Owen and Merle Haggard. Today, Bakersfield visitors and locals alike enjoy the food and live music at Buck Owens' Crystal Palace. When it comes to dining, Bakersfield is home to the country's largest collection of Basque restaurants. These popular eateries feature the cuisine of Basque County, a region in the South of France and Northern Spain. These memorable meals are served family-style at long trestle tables, to reflect the Basque culture. Some of Bakersfield's most famous Basque restaurants include Wool Growers Restaurant and Cocktail Lounge, Benji's French Basque Restaurant, and Sandrini's Basque and Italian Restaurant. Any first visit to Bakersfield should include a reservation at a Basque restaurant to experience this distinctive cuisine firsthand. 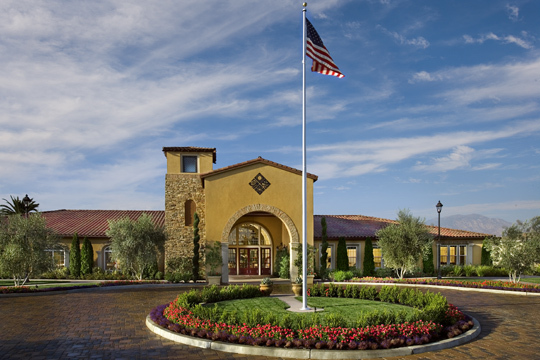 Active adults who choose to settle in Bakersfield will find several desirable age-restricted communities. Solera at Kern Canyon and Four Seasons at Bakersfield each offer affordable homes and amenities which support an active adult lifestyle. The Greens at Seven Oaks provides true country club living, including a 27-hole championship golf course, two clubhouses, two restaurants and a variety of social and recreational activities. Whether planning a vacation in Bakersfield or considering the city as a retirement destination, active adults will have no trouble finding things to do in this vibrant California city.